JUVÉDERM® and Restylane® injections are popular for filling wrinkles and contouring areas of the face. They refer to separate collections of hyaluronic acid-based dermal fillers, which work to diminish facial aging by correcting wrinkles, deep creases, hollow areas, or facial features that lack volume. There are several different formulations of JUVÉDERM® and Restylane®, with each variation optimized to treat a specific concern. These fillers are often utilized in areas where BOTOX® Cosmetic cannot be used and, essentially, are intended to fill in creases and volume deficits caused by low collagen production. Our plastic surgeon, Dr. David L. Durst, would be happy to speak with you in person to determine whether JUVÉDERM® or Restylane® fillers can help you achieve your goals. What Can JUVÉDERM® & Restylane® Be Used For? JUVÉDERM® and Restylane® can be injected to smooth creases, as well as augment the cheeks, lips, temples, and other areas that have lost volume or appear flat. 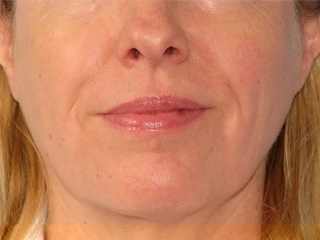 The lip shape can be enhanced to appear plumper and more defined, or the cheeks can be contoured to look fuller. Depending on your concerns, the result is generally a fuller, more youthful facial appearance that can be preserved through touch-up treatments. There are a few different features offered by JUVÉDERM® and Restylane® respectively, and Dr. Durst will explain which type of filler he believes would be optimal for your goals. What is JUVÉDERM® & Restylane® Treatment Like? Both JUVÉDERM® and Restylane® involve very small injections of the purified product into the wrinkle line or area of treatment. Injections with JUVÉDERM® and Restylane® are minor in-office procedures that involve little to no downtime, with most patients resuming all normal activities the next day. Each JUVÉDERM® or Restylane® session can take as little as 15 to 30 minutes. 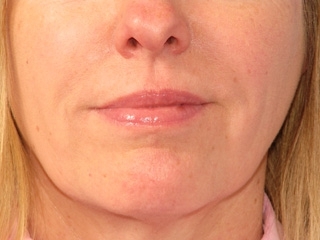 These fillers provide temporary results that can last for several months. Many patients choose to receive BOTOX® Cosmetic injections at the same time, as the product’s ability to smooth expression lines is somewhat complementary to fillers and can maximize the effects of treatment. How Long Do JUVÉDERM® & Restylane® Last? Each JUVÉDERM® and Restylane® filler will have a slightly different lifespan, but you can generally expect results for three to six months. Some JUVÉDERM® products that have a higher degree of cross-linked hyaluronic acid, such as JUVÉDERM® ULTRA XC for wrinkles and JUVÉDERM VOLBELLA® XC for the lips, can last as long as one year. Dr. Durst will let you know how long you can expect the outcome from your unique treatment to last. How Much Do JUVÉDERM® & Restylane® Cost? The price of treatment with JUVÉDERM or Restylane® varies according to the needs of each patient, and cost-influencing factors typically include the type of filler used and the amount of solution injected. On average, statistics from the American Society of Plastic Surgeons (ASPS) list the cost of treatment with hyaluronic acid fillers as $600 to $700 for one session. However, JUVÉDERM and Restylane® are priced by syringe, so your ultimate cost estimate will depend on how much product is required to achieve your goals. Our treatment coordinator will provide you with a personalized quote, as well as your different payment options, once you visit our practice. We accept plastic surgery financing from CareCredit® or Prosper® Healthcare Lending, two financial institutions that provide qualified patients with short- or long-term payment plans to make the cost of cosmetic treatment more manageable. The range of options available often includes low monthly installments and low- to no-interest rates, helping ensure approved candidates find an ideal arrangement for virtually any budget. Please contact our practice if you have any other questions about the cost of filler injections. If you would like to talk to Dr. Durst or his staff about JUVÉDERM® or Restylane® or schedule an appointment for treatment, please contact our office.